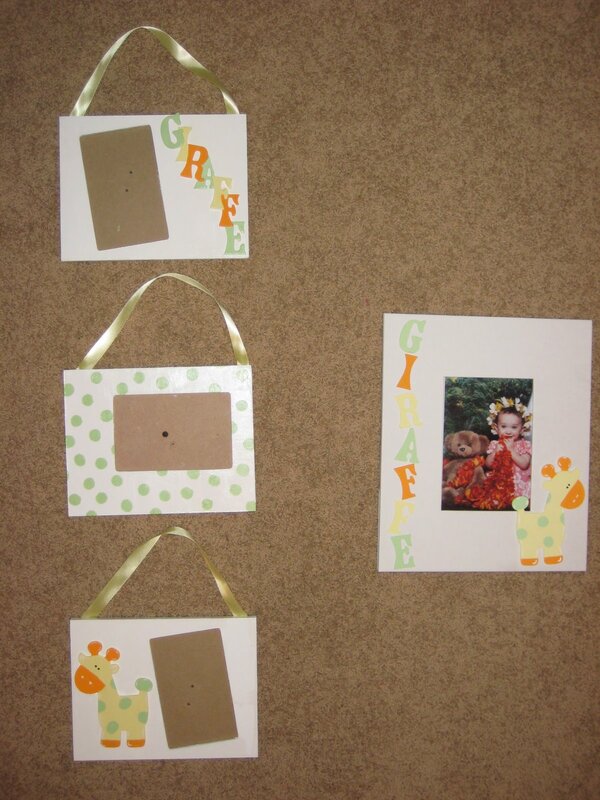 I have been being very crafty! And loving it! There is something about preparing for baby that makes me feel like it is really going to happen– or at least it helps me to forget that I don’t really feel like it will happen. I made these four frames. The three on the left are a set that will hang on the wall as posed here. 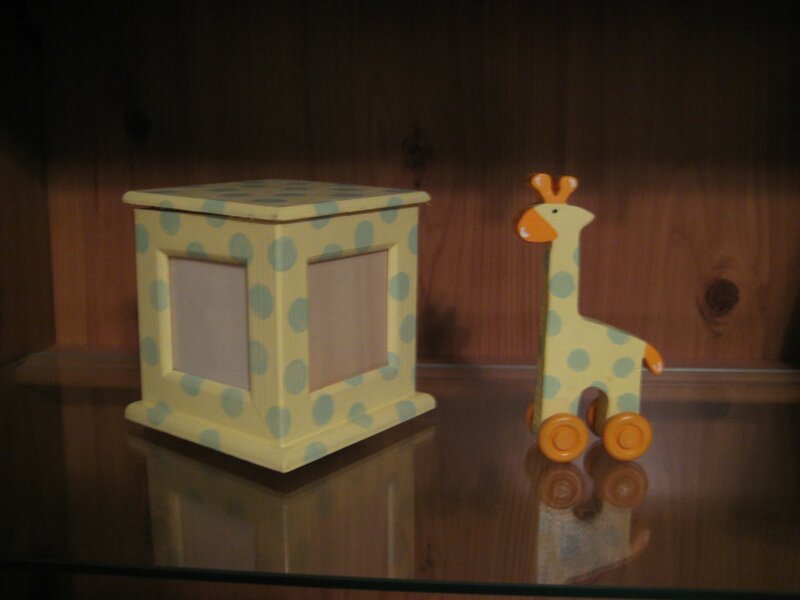 The top one says GIRAFFE, the middle is green polka dots, and the bottom one has a giraffe that I painted. 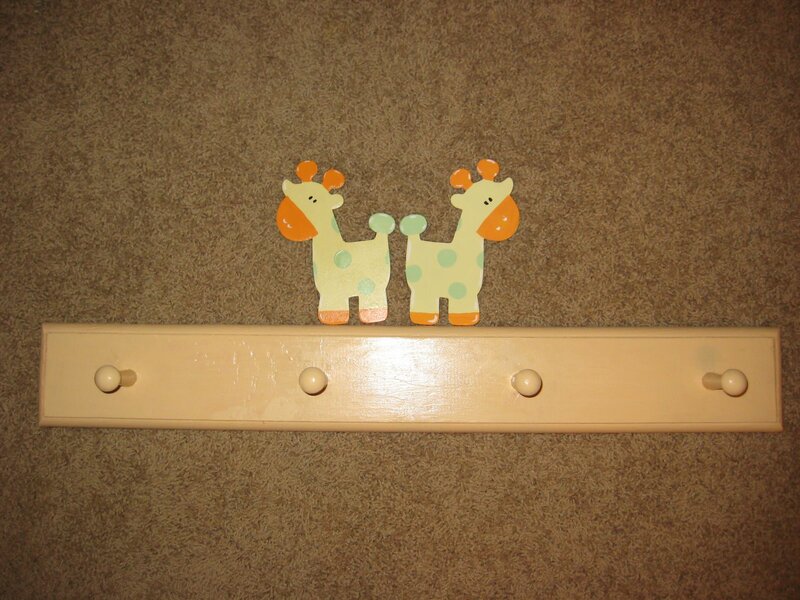 The one on the left is a table frame and it says GIRAFFE and has the same yellow, green and orange giraffe. These guys will be on the white shelves that will one day hang in the nursery. 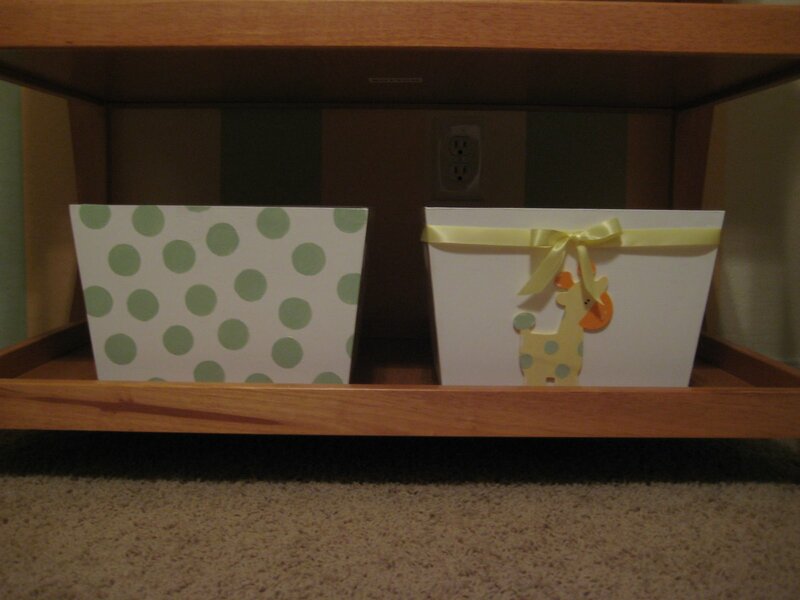 I painted these two bins. I plan to make two more to match someday soon. 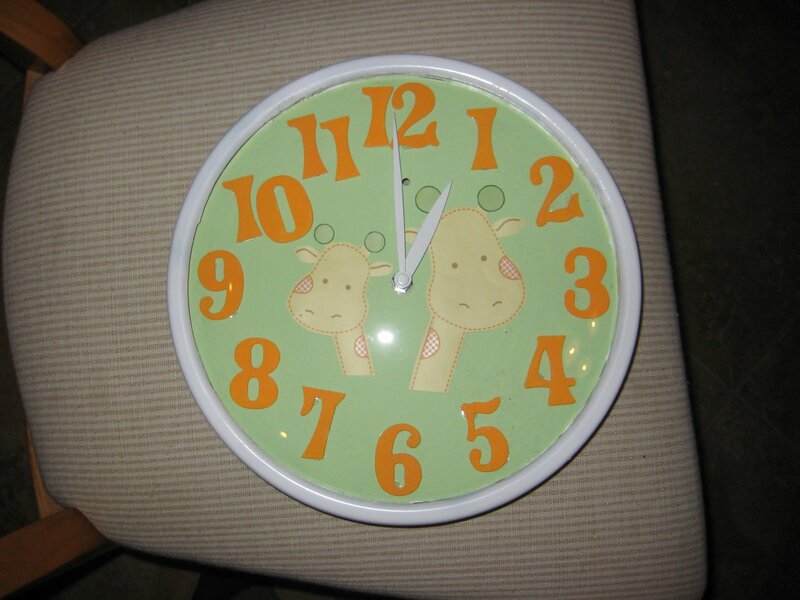 I needed a clock for the nursery and I found this one online. It was about $20, which wasn’t too bad, but I thought I could do better. So, without spending a DIME and using only stuff I already had at home…. waaalllaaaahhhhh!!! 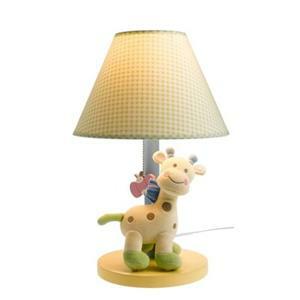 Then there was this lamp that I have been coveting at BRU for months. Then, of course, it was DISCONTINUED! The nerve! I did find it on ebay for 49.99, but ummm….no! I always feel like my mom when I get all creative like this. It is so much fun for me and I love the amount of money that I save and the fact that everything in the nursery matches perfectly! My mom is in the process of painting a canvas with the giraffes that are on the crib quilt. As soon as I have that in hand, we are going to hang everything up all at once. I can’t wait until it is finished….but then what will I do for therapy? Great job on all the stuff! You are very creative! Wow! I am very impressed with your craft skills. You are very talented. The nursery will look fantastic. Wow! You are so creative and talented. This stuff is AMAZING. I’m so impressed Bri! Really. Wow. That clock is awesome. Where did you get those bins to paint? And did you use regular house paint (i.e. for walls) or did you use other paint? Wow you are so talented i LOVE IT !! You are right Art is a Therapy in the waiting process. I started to Crochet a Afghan for Baby i know is going to take me a while to finish, but i thought it would be nice. Thanks for sharing your art with us. Bri, you could sell this stuff… it’s SO cute and well-done! 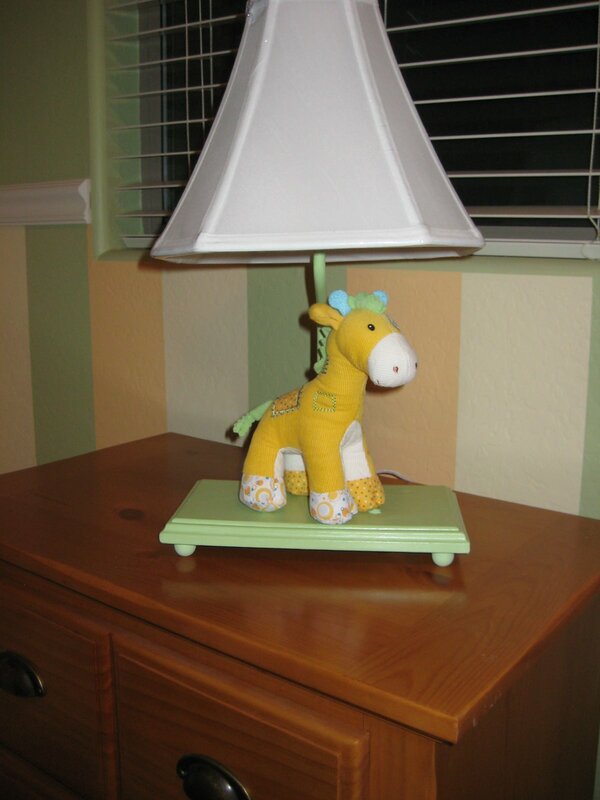 Love, love, love the giraffe theme — what a beautiful little nursery you’re building. Bri!!!! You are a girl after my own heart! I love all your projects – and props on the thriftiness. There’s nothing like seeing something you love and making it for CHEAPER! 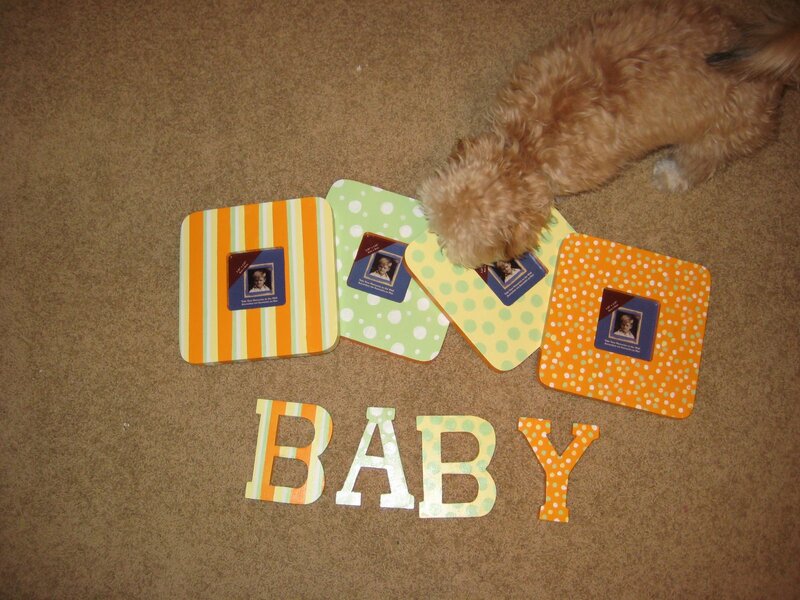 :)I can’t wait to see your room all put together….everything is adorable!! I am amazed at your talent and totally envious! Your projects have turned out wonderful! You should start an etsy! I can’t wait to see a photo of everything when it’s all finished! WOW… Very nice! I cannot believe how talented you are! You did a great job on the clock and truly, all of the other things as well. Your baby will certainly have an artsy mommy & cool room! I LOVE all of this!! 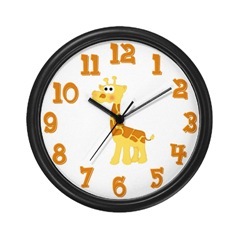 The giraffe theme is just too cute! 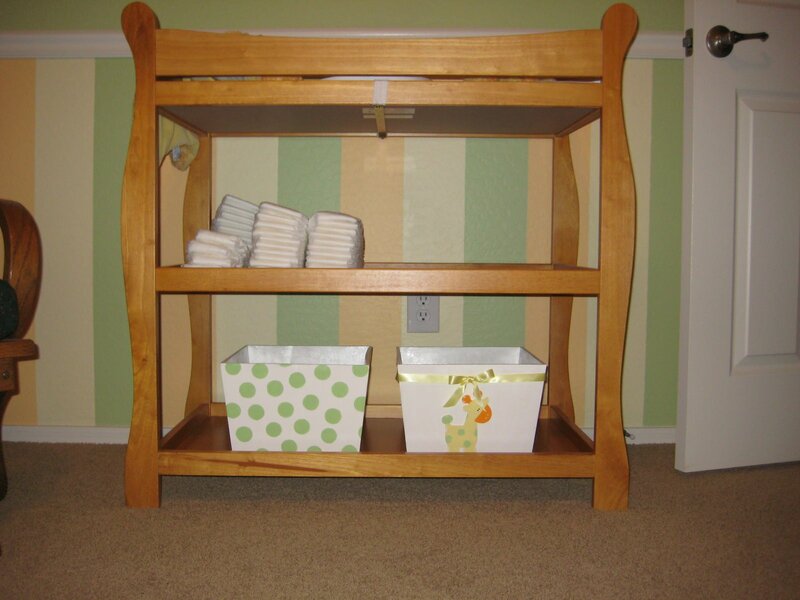 The striped walls are wonderful and your projects are just precious! What a sweet room for a baby to enjoy! !Hang in there…your time will come…mine did! 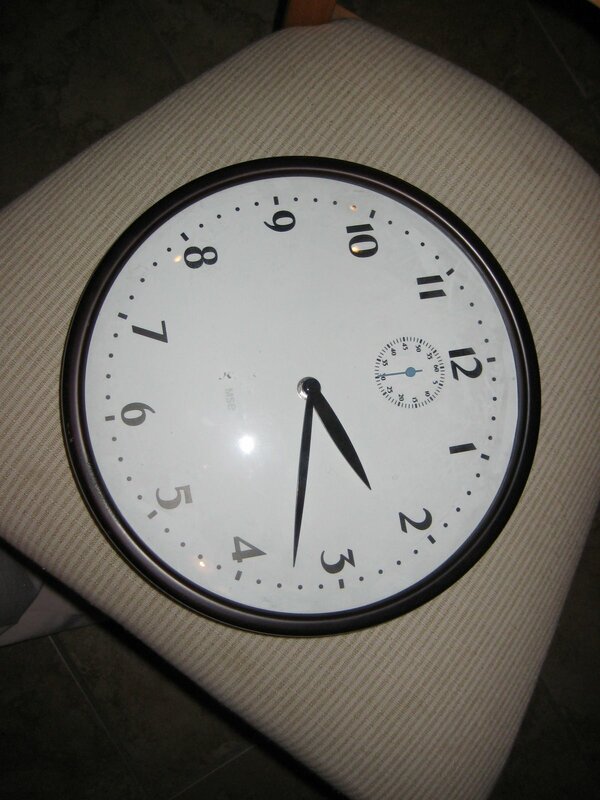 !Will you tell us how you did the clock???? Hmmmm…I do believe you are NESTING!!! Beautiful stuff, you definitely have a talent! ADORABLE!!! Wow, you are amazingly talented. I’m glad it’s been therapeutic too! I like your lamp BETTER!! I also love to craft and scrap stuff! 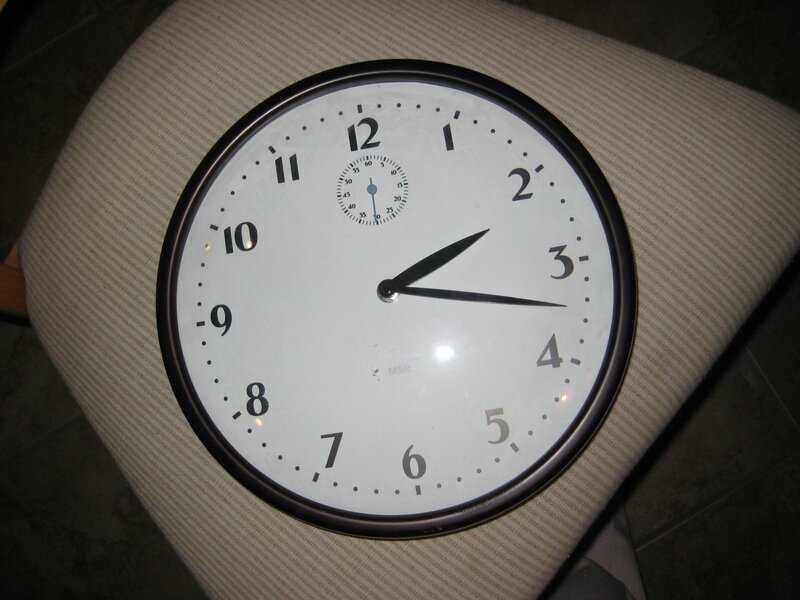 I love your clock…you may have inspired me to do the same! THanks for sharing!